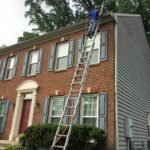 Your gutter/downspout system was designed to catch the maximum flow of water from your roof, if your gutters are clogged, the water has not where to go except either over your gutters or underneath your facial board. 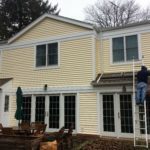 Some of the most common damages that can occur due to clogged gutters are flooded basements, cracked foundations, rotten wood. 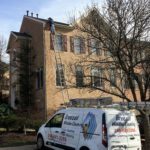 downspouts are clogged we will unclog them (add cost). We will use the water hose to flush out downspouts. 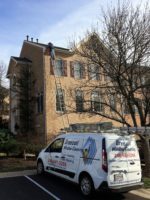 and get your gutters cleaned by a fully insured professional company. 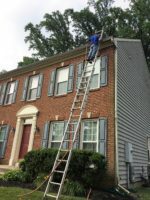 Have you looked up at your gutter and see those ugly looking black streaks? 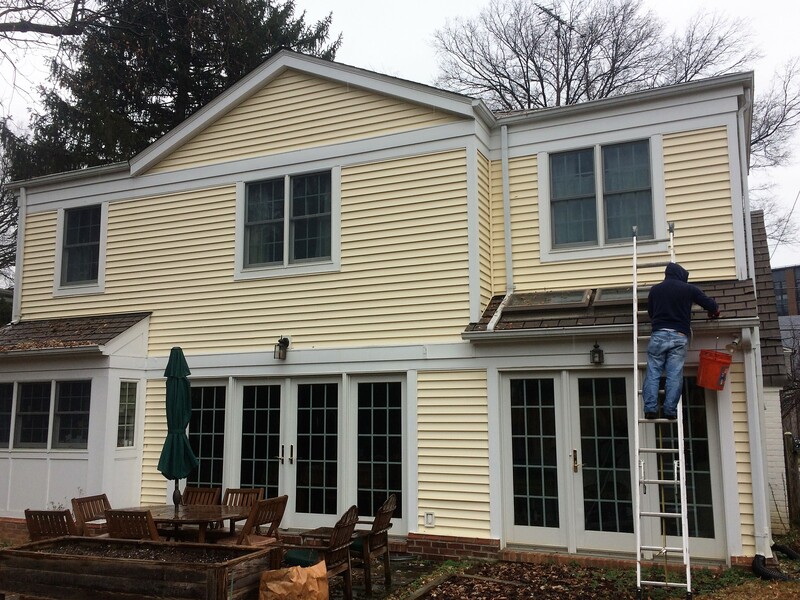 streaks, dirt, mildew stains from the exterior of your gutters.